As humanity, we are called to a larger conversation and participation in Life. We are called to usher in real change, and help create and shape the face of the future for ourselves and generations to come. The time is now. The Call: We are calling forward our inherent leadership genius and our collective dreaming, so together, we can co-create best practices for establishing new structures and processes that serve all people and the earth. To do that we must shift. We must change. So this is a call. We are calling experienced professionals from across the planet that carry expertise in many diverse arenas—business executives, humanitarians, visionaries, community leaders, consultants, politicians, environmental promoters, educators, health care professionals—to name a few. This kind of participant diversity creates a rich tapestry in our learning community. We are looking for those who deeply want to make a difference in the pathway ahead in this human journey. We are calling those who are willing to take a stand for life-affirming action in each of our lives, in our communities, in our nations and on this planet. Why is this needed now? Evocative leaders are needed in this changing time to draw forth the best from those they interact with as well as to evoke the kind of higher consciousness required to address the volatile, complex and ambiguous issues we all face at this time. Evocative leadership emerges from a culture of interrelatedness, which holds the deep value of relationship, respect for life and collective wisdom. This training journey involves deep personal growth along with developing the capacity to evoke life-affirming outcomes in all the rings of relationship – personal, partnership, community and work – as these rings ripple out to create global impact. Register Now for the next Evocative Leadership Mastery™ Journey beginning in November of 2019. What is the Program Flow? To enter the Evocative Leadership Mastery™ journey, the Portal Gathering is required. Portal Gatherings will be scheduled in the first and second quarter of the year preparing for the next Evocative Leadership Mastery™️ Journey to begin in November of 2019. PORTAL dates will be announced in the near future. Please inquire at institute@ehama.org if you are interested in hearing more. What is the structure of the complete training program? Knowing we face increasing polarity and challenge in our world, we will work with three high level lenses on this journey: The first is the lens of Interiority: practices for balancing the inner landscape of the Leader, called the Ground of Being. The second lens is Polarity and Complementarity: practices for finding the complement in what we see as polarization in the rings of relationship. The third lens is Bridging: practices for finding pathways to wholeness. We will use a universal map to unfold the Eight Intelligences that are inherent in the human: Creation Intelligence, Perceptual Intelligence, Emotional Intelligence, Pathfinding Intelligence, Sustaining Intelligence, Predictive Intelligence, Decisive Intelligence and Energia Intelligence. We will open the Ground of Being, how we stand within, as well as practicing the skills of being an Evocative Leader in the first four sessions. The second part of the journey, following the first four retreats, open into pathways we call intensives. Each pathway will offer something different and can be chosen according to the interest and wish for additional deepening of the Evocative Leader. The TOOL Intensive is a deep practice in working with individuals, partnership and teams. We offer eight vital tools with an emphasis on Evoking. The Intensive training prepares the Evocative leader to evoke the highest potential from self and others, with tools that inspire, grow and ignite the best in each of us to grow the future toward our dreams of a sustainable and peaceful world. The TOOL Intensive will be offered in two parts, each consisting of 7 days. There are four tools offered in the first gathering, with practice required following the Intensive, and four tools offered in the second gathering, with practice required following the Intensive. Participants will work in teams with guides. Reporting and recordings of tool use will be required. There is a ten-person minimum for this training. The COUNCIL Intensive is a profound earth based practice to gather the voices of the people to share wisdom perspectives and move toward wholeness in our relationships, communities and world. There are eight forms of council offered in this 2-part intensive, each consisting of 7 days. Each 7-day session of the COUNCIL Intensive will open four forms of council integrating through experiential practice and application in different settings, while deepening the inner council and enhancing access to our inner wisdom. There is a ten-person minimum for this training. Participants will receive certification after successfully demonstrating proficiency in using the tools. Additional intensives will be added at a later date. What is my investment for this training? Total tuition for year one of Evocative Leadership Mastery™ is $8,700.00. The Portal Entry Gathering – or the Virtual Portal Experience – is a required preparation for the Evocative Leadership Mastery™ training journey and the Portal Completion Gathering is the final completion of our first year. The 4 sessions in between the portals are 6-day retreats. When and where will the next training take place? The Evocative Leadership Mastery™ training will be held in Spain. Click here to see our venue. Note: Dates include travel days: beginning date is arrival, ending date is departure. Only one entry portal gathering is required. What will I be expected to do to successfully complete this program? What are the outcomes of this training? Evocative Leadership Mastery™ is an adventure into your own deep integrity, to discover the power of the universe that resides in you. This journey invites you to remember your true being; one who can evoke leadership in others and meet the world with equanimity and knowing. Through Evocative Leadership Mastery™ you will become a leader of tomorrow, one who can hold the space for healing and transformation in systems, build shared understanding across diverse groups and gather the wisdom of all people to create new pathways to our collective future. 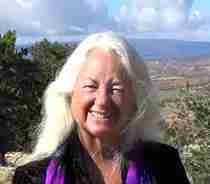 WindEagle, Co-founder and Director of Ehama Institute, is a Lineage Keeper of an ancient body of Self Knowledge and Earth Wisdom Teachings called the Origin Teachings of the Delicate Lodge. This enduring wisdom offers a framework for meeting today’s ever increasing global challenges as new structures and processes emerge. In 2012, the Evocative Leadership Mastery™ program was launched and is offered to experienced leaders and visionaries who are inspired to make a positive and lasting difference in their groups, organizations and the world. Evocative Leadership Mastery™ is an integrated leadership framework, both in philosophy and practice, designed to harness the power of higher consciousness. It brings an enduring wisdom to the volatile, complex and ambiguous challenges of the world in which we live and work. “ELM has opened many questions in my life, the most important being: ‘How may I nurture and sustain life inside organizations and systems at any moment, whatever the state of the system or will be?’ I have received that question as a gift. It requires a thorough personal leadership work involving new heights and depth of compassion in order to totally embrace it. “Since January 2017 I have embarked on an amazing journey into the Medicine Wheel with WindEagle and Evocative Leadership Mastery team – ELM. WindEagle is an incredibly wise, deep, and magnetic teacher and Keeper of the Delicate Lodge earth -wisdom teachings, passed down from generations of native peoples. I was aware that she was the teacher of Henry Kimsey-House, the founder of CTI co-active coaches training institute and profoundly influenced their teaching models. WindEagle came with the highest recommendations and reputation. So when I spotted that my teacher’s teacher was coming to Europe, I knew that I had to find out more. I did and I decided to hop on board! I have not been disappointed. In an increasingly polarised world, where there is so much uncertainty, inequality, division, fear, stress and strain, competition, pressure and dissatisfaction, the teachings and work of Evocative Leaders has never been more vital than they are now. On a personal level, I have been on a healing journey for many years and through this work I found the keys to unlock me from path of suffering, it has transformed my life on the inside. 1. What does evocative leadership mean? Evocative is a word that denotes “A Call.” To evoke is to call forward the highest skill, talent or gift of expertise from those within your sphere of influence, including yourself, with the inherent recognition that together we can create anything. Activating the skills learned in Evocative Leadership Mastery™ leads us into an evolving model that calls forth all members of a team or group to contribute their most brilliant and needed collective capabilities as we face shift and change. 2. What is the philosophy behind your program? 3. What does “intelligence” mean in this context? 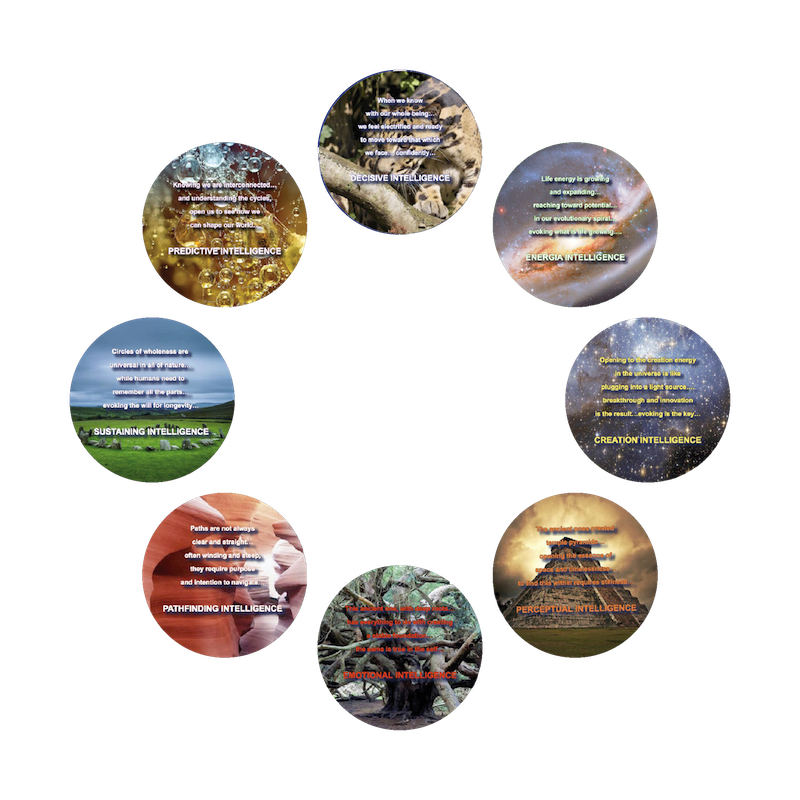 In the Evocative Leadership Mastery™ journey, we re-awaken the eight intrinsic intelligences of humans: Creation, Perceptual, Emotional, Pathfinding, Sustaining, Predictive, Decisive and Energia. We evoke every person’s capacity to call forward each of these vital and pivotal understandings that illuminate the unlimited resource within and around each of us. HOW DO WE USE OUR INTELLIGENCE IN OUR WORLD? Part of the Evocative Leadership Mastery™ journey is to explore the Eight Universal Intelligences, realizing that each of us is an expression of the Universe and we naturally carry the keys to this power. We need all of our intelligences now more than ever. Evocative Leadership Mastery™️ has a scholarship fund with some partial funding available. Applications are welcome. Inquire at institute@ehama.org for an application form. Please ensure your application reaches us no later than 2 month prior to the beginning of session #1.